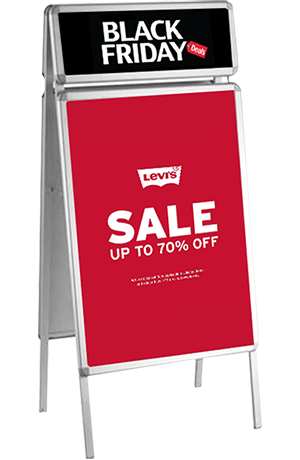 The Aluminum Snap frame is ideal for indoor use where sidewalk advertising is needed. 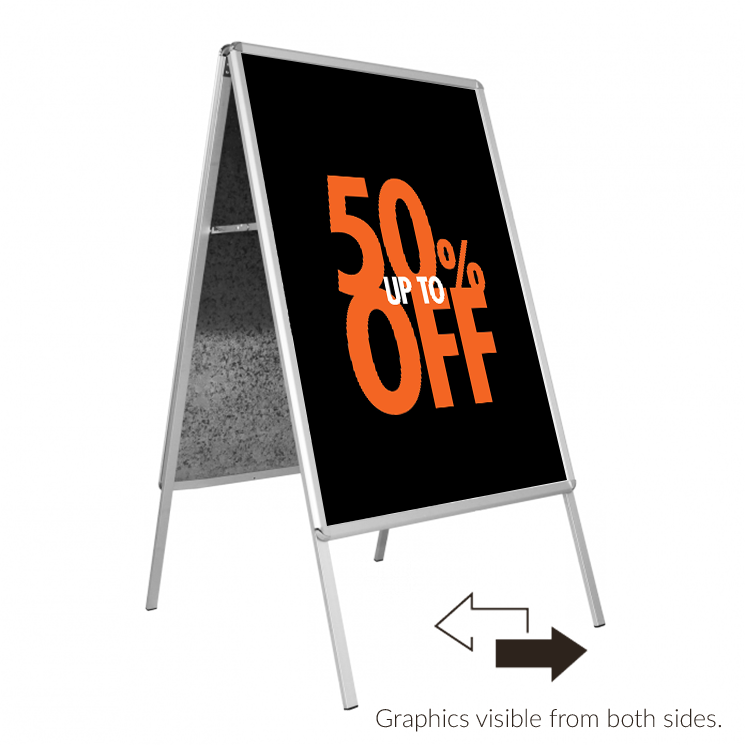 The simple changing of advertisements, balanced weight of the frame, and visibility of two different prints all add to the success this product. 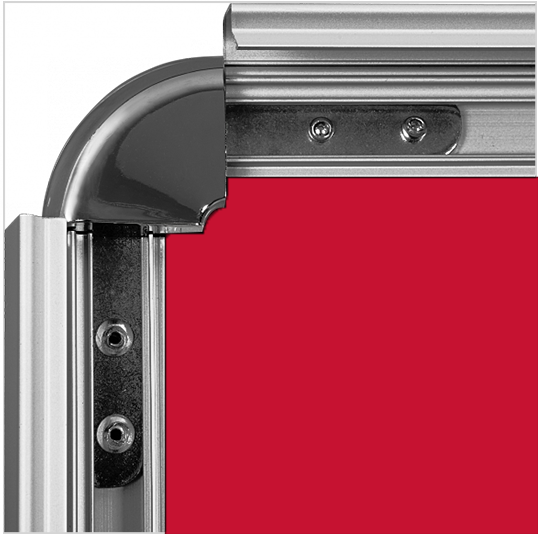 Easy to load snap frames comes with glare reducing overlays. Pick the size that fits your needs. Add more advertising space with a header on ASF23H model. Easy open sides snap allows quick Graphics changes. The Snap Frame A Sign has a trench at the top to drain rainwater and give the prints more protection. 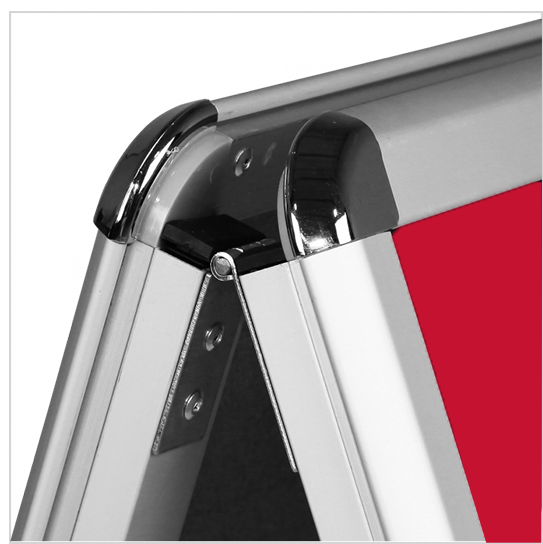 This sidewalk display’s side support bars allow it to be collapsed for effortless storage and transport. 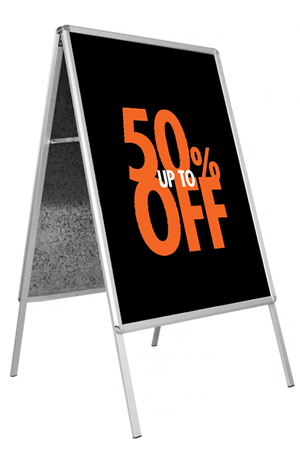 Get your message across with a bold aesthetically pleasing display. Aluminum Snap Frame is double side for twice the exposure and message can be viewed from either direction. 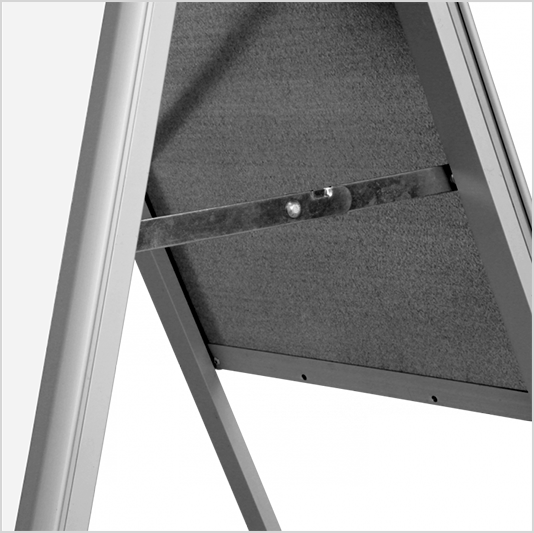 The user-friendly frames snap open to install prints quickly and easily without the use of tools.